Your one stop shop for tips, articles, tutorials and videos about FreeNAS the Open Source Network Attached Storage OS. I'm your host Gary Sims, the author of the book Learning FreeNAS. If you like a post please leave a comment. This blog is "no follow free" (or "dofollow") which means that the comment link to your blog is real and in no way hidden, not even from the search engines. FreeNAS 8.2.0 released then withdrawn and then released again! The FreeNAS development team has announced the availability of FreeNAS 8.2.0 (known as FreeNAS 8.2.0-RELEASE). FreeNAS 8.2 is the first release on new branch of code that incorporates tighter integration between the ZFS command line and the FreeNAS GUI. This release also features the ability to run arbitrary services and interact with them through the FreeNAS GUI packages or ports, as well as official FreeNAS plugins. Support for iSCSI target reload. GUI support for SAS and FC multipath hardware. Webshell accessible from the FreeNAS web interface. ZFS scrubs are configurable from the GUI. A newer web toolkit is used in the GUI, enabling use of mobile browsers. An autotuning script tunes ZFS for the hardware it’s running on. However after the initial release critical bug was discovered so the software was removed from sourceforge. In its place FreeNAS 8.2.0-RELEASE-p1 was uploaded. So, if you haven't upgraded to 8.2.0-RELEASE you're fine, just do a normal upgrade to 8.2.0-RELEASE-p1. If you have upgraded to 8.2.0-RELEASE then you've probably noticed a very annoying bug, it doesn't import ZFS pools at boot time. What you'll want to do is detach your ZFS volume from the GUI. There are two checkboxes, one for delete shares, one for mark disks as new. Make sure these are both unchecked. http://doc.freenas.org has been updated with the finished 8.2.0 documentation. A PDF/HTML version will be available Tuesday July 24th. ZFS can be manipulated from the CLI, and changes for supported items tracked by FreeNAS will be reflected in the GUI. zvols, datasets, and entire volumes can be created, destroyed, or manipulated on the CLI and will be propagated to the GUI. The GUI now supports active-passive multipath capable hardware, which targets mainly SAS drives on dual expander backplanes. Any multipath capable devices that are detected will be placed in multipath units which are then exposed to the GUI, and the parent devices will be hidden. Plugins are now available. Third party modules can be added to FreeNAS which will persist across upgrades and can be manipulated and configured from the GUI. Documentation on using and creating plugins is available at http://doc.freenas.org/index.php/Plugins_Configuration . BitTorrent, DLNA/uPNP, and iTunes plugins are available as of this writing. The GUI now includes a webshell, which allows you to access a root shell from within a web browser. The “Create Volume” modal was renamed to “Volume Manager”. Extending existing pools is more intuitive than it was previously; selecting multiple disks for a storage volume is now done via a multiselect widget instead of checkboxes to improve ease of use when creating volumes. ZFS volumes can now have periodic scrub tasks configured for them; the default is set to 35 days to be consistent with the OS default. An autotuning script is now available — disabled by default. It sets various tunables and sysctls based on system resources and components. The predetermined values are exposed through the GUI from the Sysctls and Tunables panes. A newer web toolkit is used, which behaves better with modal dialogs and more intuitively in general when compared with older versions. It also has better browser compatibility, including compatibility with Android / iOS mobile devices! A more responsive service state detection mechanism was added to improve FreeNAS interoperability in VM software (VMware, VirtualBox, etc). FreeNAS 8.0.4-RELEASE-p2 is available for immediate download . 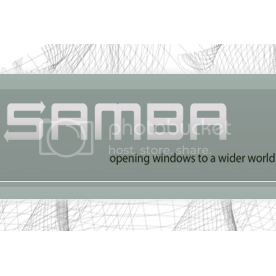 Samba has been upgraded to 3.6.5 to address CVE-2012-2011 which is a critical vulnerability. All FreeNAS users who are using CIFS are urged to upgrade. FreeNAS-8.0.4-RELEASE-p1 Released to Include New Version of Samba with Security Fixes. A new version of Samaba, the open source implementation of the SMB/CIFS networking protocol that enables file and print sharing between FreeNAS and Windows, has been released to fix a nine year old security vulnerability that allows remote code execution as the “root” user from an anonymous connection. FreeNAS-8.0.4-RELEASE-p1 has been released with Samba 3.6.4 to addresses this critical security flaw. Samba has been upgraded to 3.6.4 to address CVE-2012-1182 which is a critical vulnerability. All FreeNAS users who are using CIFS are urged to upgrade. Create the ldap and nss secret files when LDAP integration is enabled. Ensure the configuration database is not world readable. Remove failsafe from the PAM group file, this prevents a situation where the wheel group being empty allowed any user to su to root. 8.0.4-RELEASE-p1 also contains a GUI enhancement where selecting reboot now causes the screen to turn red during the confirmation dialog, adding emphasis to the fact that this operation will affect availability. This update is critical for anyone using FreeNAS with CIFS. FreeNAS 8 is an excellent Network Attached Storage (NAS) solution and is ideal for providing Windows machines access to storage over the network. However, FreeNAS can do much more. The Common Internet File System (CIFS), which is used to share data with Windows machines, is only one part of the FreeNAS system. As well as services to share files with Linux (via NFS) and Mac OS X machines (via AFP), FreeNAS also offers FTP, TFTP and SSH services. In this tutorial we will go beyond disks & sharing and configure the FTP, TFTP and SSH services. I will assume you have a FreeNAS system installed with at least one volume configured. For more information on installing FreeNAS and setting up volumes see my NAS Setup Guide. iSCSI (Internet Small Computer System Interface) is a low level network protocol which allows a client machine (known as the Initiator) to control storage on a server (known as the Target). With iSCSI the control is low level. So low level in fact, that the disk needs to be partitioned and formatted by the Initiator. FreeNAS 8.0.4 (and its multimedia variant) has been released. This is a maintenance and bug fix release which upgrades to Samba 3.6.3 to resolve several bugs (both security and non-security related). Update samba to 3.6.3 to resolve several bugs (both security and non-security related) (SF r10127). Update transmission to 2.42 (SF r10093). Update firefly to 1696_6 for iTunes 10.5.2+ compatibility. Add MegaCLI tool (SF r10072, r10073). Add rsync+SSH functionality (FN # 990). Catch ZFS snapshot errors when snapshots are done via the GUI instead of failing silently (SF r10152). Work around interoperability issues with user / group population in the GUI by failing silently in certain cases if AD/LDAP users cannot be retrieved (SF r10140). Fix case where local and remote paths passed to rsync in Rsync tasks weren’t quoted, so paths with spaces in them would not work (FN 1285). Disable periodic tasks in the base system that would negatively impact system performance on NAS boxes with large directory structures (SF r10113). Fix handling for ‘every day’ SMART tasks created in the GUI (SF r10088). Add in several robustness fixes to reduce potential for filesystem corruption on root / boot device. In some scenarios this would also improve performance when fetching data from the root device as well (SF r10095, r10109, r10129). Fix vfs objects modules ordering so shadow copy (aka previous versions) support functions again (FN 935, FN 1186, FN 1275). Network field from iSCSI initiator could contain multiple IP addresses, CIDR addresses, or ANY keyword (SF r10082). Generate istgt.conf properly if and when multiple initiators were specified (SF r10081). Automatically create AD/LDAP user home directories (FN # 1203). Restrict portal input in the GUI to prevent scenarios where incorrect input would prevent iSCSI from starting (FN # 1231). Fix disks / partition parsing when importing volumes (FN # 1202). Restrict users from creating cronjobs / rsync tasks with long usernames (FN # 1061). Escape samba AD/LDAP passwords (FN # 1225). Ensure guest accounts are disabled if checked (SF r8276). Note: Builds prior to 8.0.3-RELEASE with ‘CIFS’ didn’t actually have AIO (asynchronous I/O) enabled. So, if you experience performance degradation after upgrading from prior versions of FreeNAS to 8.0.3-RELEASE or newer, turn off AIO or tune the AIO size from ‘1’ to something more reasonable (the new default in 8.0.3-RELEASE-p1 is 4096 or 4kB). FreeNAS 8.0.4 Multimedia has also been released. This is a sneak preview of the multimedia support that will be available in FreeNAS 8.2.0. At the moment the applications are not tied into the GUI. You will need to configure them on the CLI as described here: http://bit.ly/xGeLnj. ZFS is an excellent choice for a high end NAS solution. In this tutorial I walk you through building a ZFS based NAS using FreeNAS 8. You’ll learn how to create a ZFS volume and datasets within it. The article will also examine the advantages of using snapshots. Train Signal has published a new tutorial which guides you through an installation of FreeNAS 8 on a simple system using two hard drives for a fully functional network attached storage solution. The tutorial goes through the steps needed to boot and install FreeNAS 8 on a modest system with two hard drives. The first hard drive is a small 2GB drive to hold the FreeNAS operating system and the second a 2TB drive for serving data to the network. Upgrade nut / net-snmp to 2.6.2 and 5.7.1, respectively. Bump samba from 3.5.11 to 3.6.1. A full list of changes and fixes can be found in the release notes. FreeNAS 8.0.3 is available to download for 32- and 64-bit systems. Note that previous builds were branded as i386/amd64 (32-bit and 64-bit respectively). 8.0.3-RC1+ rebranded the architectures as x86 and x64, respectively.